For over 2000 years encyclopaedias have existed as summaries of extant scholarship in forms comprehensible to their readers. The word encyclopaedia, Greek origin, at first meant a circle or a complete system of learning, that is, an all-round education. When Rabelais used the term in French for the first time in PANTAGRUEL, he was still talking of Education. Paul Sealich, a German compiler was the first to use the word to describe a book in the title of his Encyclopaedia: "Knowledge of the World of Disciplines. Not only sacred but profane" which was issued at Basel in 1559. Many encyclopaedias that had been simply called had either been given fanciful titles or had been simply called "dictionary". The word dictionary has been widely used as a name for encyclopaedias. But the difference between a dictionary and an encyclopaedia is that while the first gives you no more than the meanings and derivations of words, the second tells you a very great deal more about their subjects. A modern encyclopaedia still may be called a dictionary, but no good dictionary has ever been called an encyclopaedia. Encyclopaedia is a collection of information about people, places, events and things. It may deal with all areas of knowledge or it may confine itself to just one area. Specialized encyclopaedias provide more detailed and technical information on specific areas of knowledge such as art, medicine or the social sciences. In ancient times, scholars found that the information they needed was scattered in manuscripts and scrolls in various parts of the world. Some scholars made their own reference works by copying long quotations from the works of other authors. Others copied items of information from a variety of sources. These ancient reference works were the ancestors of the encyclopaedia. But they differ from encyclopaedias in many ways. Early scholars presented information in any order they chose and they had few ways to check in accuracy. In addition, they wrote only for themselves or other scholars. A well-planned encyclopaedia presents facts about humanity, about beliefs, ideas, and achievements about the world people live in and about the as Puranic Index by Vettam Mani, Srauta Kosa and several other encyclopaedias ' devoted to the special areas of interest such as Sports, Fine Arts, Music etc. Among the specialized interests we find works on Yoga also Encyclopaedia of Yoga by Feuerstein, the Encyclopaedia of Yoga by Dr. Ramkumar Rai, Cyclopaedia in three parts by Yoga Institute, Santacruz (Mumbai) and Italian Encyclopaedia of Hathayoga are the works published so far. Need of the Encyclopaedia of Traditional asanas In the light of the review of the Encyclopaedic literature it will be observed that no special efforts have been made to collect information about asanas which form one of the most important techniques of yoga. There are very fragmentary references to the subject of asanas even in the Encyclopaedias devote to yoga. asanas have become so popular that hundreds of books are being written and published in various parts of the world. But they are in the form of numerous permutations and combinations of the selected few asanas. The subject is presented in the form of exercise system and modern principles of exercise are super-imposed on them. Thus, the original concept and techniques of asanas, as was used in the tradition of yoga, are distorted. Therefore, it is necessary to understand the basic concept of asanas and their purpose in the whole scheme of yoga which is otherwise very much overlooked. It is also essential to know the therapeutical contributions of asanas in the light of traditional references. Since asanas are traditional techniques of yoga, it is important to collect information from the traditional sources which are scattered. ·This study provides all material related to tisanes in the traditional texts. ·It will be source of all information about the traditional approach to asanas in yoga. ·It will be useful for the teachers and students of yoga alike in deepening their knowledge about the asanas. ·The study also throws light on various traditions that exist in the asanas. ·The study forms the basis for the evolving of the therapeutical ideas and treatment of various disorders through the techniques of asanas . ·For any research in yoga, sound traditional background is necessary which is provided through study on asanas. ·Collection of information on asanas described in Traditional Texts of yoga. ·Location of various traditions in asanas. ·Dissemination of authentic information on asanas. ·Tracing of historical development of Asanas. ·Collection of information on therapeutical effects of asanas as described in the Traditional Texts of yoga. 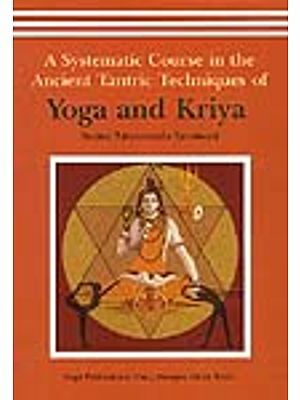 Design of the Study - For this research, the design of the study is Historical Research in the field of yoga literature. 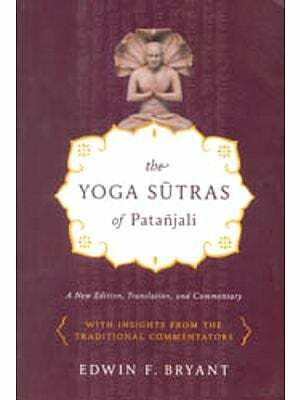 Collection of data - Primary materials concerning the techniques, effects, rationale of asanas are located from all possible sources like manuscripts, transcripts, microfilms of the traditional texts on yoga dealing with the technique of asanas. An attempt is made to collect necessary data by visiting various Oriental libraries in the Country, by obtaining Xerox copies of microfilms. For this the preliminary information is located from the catalogues of manuscripts of various Oriental libraries . H.Internal criticism in order to determine the meaning and credibility of passages within the documents. The references and cross-references are checked as far as possible. Where authenticity of a document or reliability of an individual has previously been established for each particular document, the process of establishing credibility is separately undertaken regardless of the general credibility of the author. In addition to the above, all data collected are subjected to both comparative and logical analysis. Validation for this are through carefully detailing the process by which the narrative analysis and logical interpretations are made. In the study of the historical development of asanas, any changes occurring in a chronological sub-division, regardless of the factors causing change, are noted since they have some relationship with a condition of a previous period. Suitable diagrams or photographs are given for illustrating the material on asanas.